Home > Flights > Booking Flights > When Is the Best Time to Book Holiday Flights to Lagos in 2018? Our analytics team at ASAP Tickets are already working their magic to find the best holiday flights to Lagos for our customers. They’ve done a really good job and collected data on sales from 2014-2018 to find out when is the best time to book your flight to Lagos for your Christmas vacation in 2018. Contact ASAP Tickets to book holiday flights to Lagos or other destinations in Nigeria. Our experts found that flights to Lagos are cheapest if you book four to five months (120–150 days) in advance. That means you should start planning your Christmas vacation to Lagos in July or August. That’s when the ticket prices are lowest. If you manage to book your flight earlier than in November or December you can save up to $500 on the ticket price. Why is October Your Last Call? 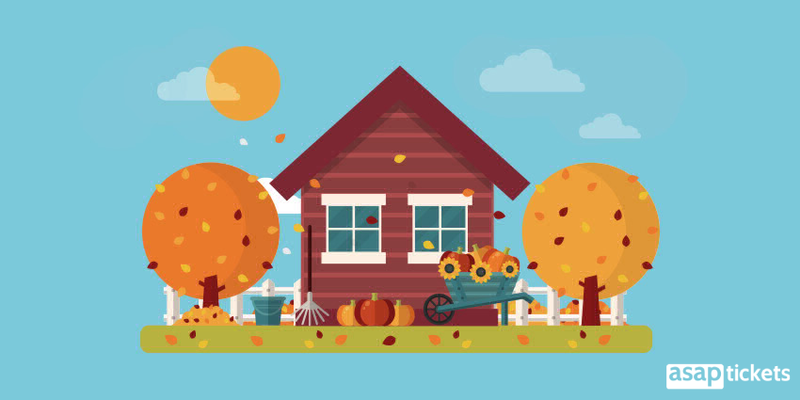 July is already behind us, and you can’t rely on finding a last-minute deal in November or December. But September or October can be your “airbag” protecting you from spending a fortune on your tickets. In September and October, ticket prices are still quite low. But you have to hurry because they will keep going up every day. 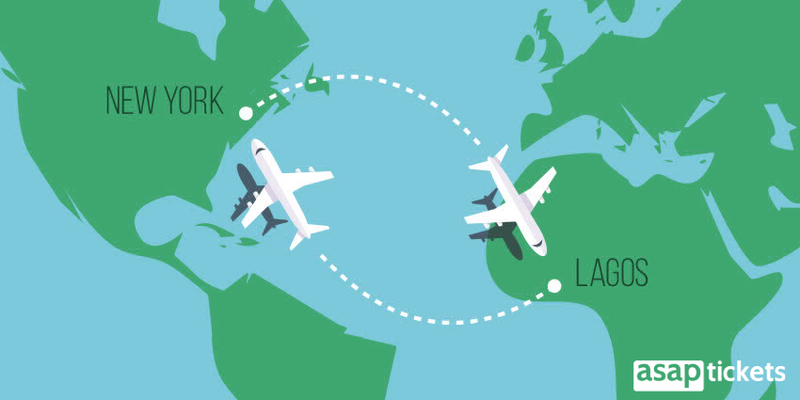 Why are Flights More Expensive Closer to the Travel Date? The same ticket bought in December costs $1600. 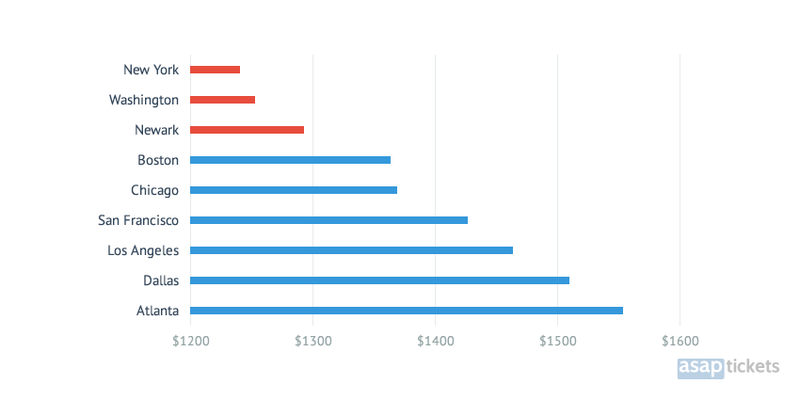 The difference between the cost of flights booked in July and those booked in December is quite large – around $500. But why? Airlines price their seats in blocks. They make a certain percentage of the seats available early at a very low fare, but not all the seats. There are fewer seats available closer to the travel dates. That’s why the value of the remaining tickets is higher. Airlines are well aware that passengers who really need to travel at Christmas will still book flights even if they have to pay more. 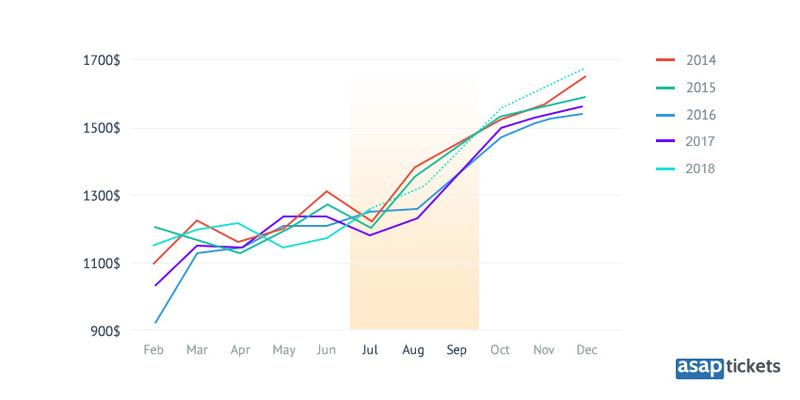 Is It Cheaper to Book Flights in Advance or Last Minute? Which Airlines Have Non-stop Flights to Lagos? If you don’t like long stopovers and busy airports, you can always choose one of these flight routes. But keep in mind that you have to be really flexible! Usually, non-stop flights are scheduled less frequently and they can be more expensive than direct flights and flights with one stopover. Flights from the U.S. to Lagos are long. It can take from 11 to 40 hours to get there, depending on your city of departure and the stopovers on your way. The shortest one-stop flight from the U.S. to Lagos is operated by Ethiopian Airlines and leaves from New York – Newark Liberty International Airport (EWR). The flight is around 12 to 13 hours long and has a short stopover in Lome. But in general, no matter where you fly from, if you don’t want to spend long hours traveling to Lagos choose Delta Air Lines or Ethiopian Airlines – they both offer short flights. In most cases, it’s cheaper to fly to Nigeria from airports nearest to the north-east coast of North America than from those on the other side of the U.S. So, if you live close to Newark Liberty International Airport (EWR), John F. Kennedy International Airport (JFK), or Washington Dulles International Airport (IAD), consider yourself lucky. You can book the cheapest flight tickets to Lagos from these airports. Which Airlines Offer the Lowest Fares to Lagos? No matter when you book the ticket or where your departure city is, in most cases, these 7 airlines offer the lowest fares to Lagos: Ethiopian Airlines, Virgin Atlantic, United Airlines, Lufthansa, Emirates Airlines, Turkish Airlines and Royal Air Maroc. 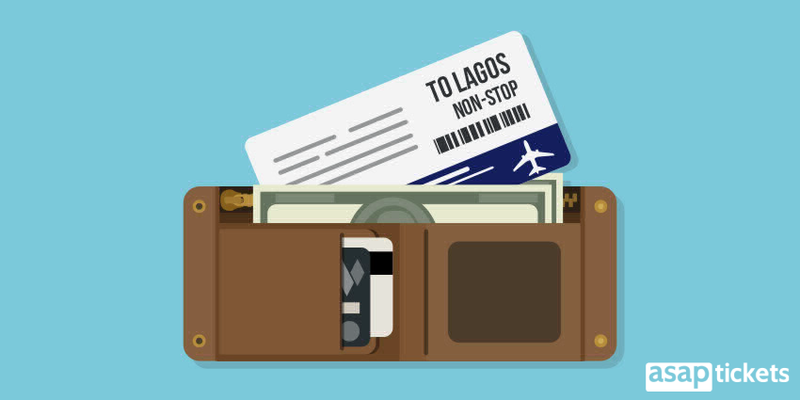 So, What Do You Need To Know Before Booking Flights to Lagos? Book five months (120–150 days) ahead. You can find the cheapest Christmas flights in July. Travel from Newark, New York or Washington to get the best deal. Flights to Lagos are operated by American Airlines, EgyptAir, Emirates Airlines, Ethiopian Airlines, Delta Air Lines, Lufthansa, Qatar Airways, Royal Air Maroc, Turkish Airlines, United Airlines and Virgin Atlantic. Ethiopian Airlines offer the cheapest tickets to Lagos. There is only one non-stop flight route to Lagos – from Atlanta and New York. Ethiopian Airlines and Delta Air Lines have the shortest flights to Lagos. Travel agents have access to unpublished airline deals, which are usually cheaper. We know it might be difficult to think about your Christmas vacation in summer, but it’s really the best time to book your Christmas flight to Lagos. If you manage book earlier than in December or November you can save up to $500 to spend on Christmas presents for your family! 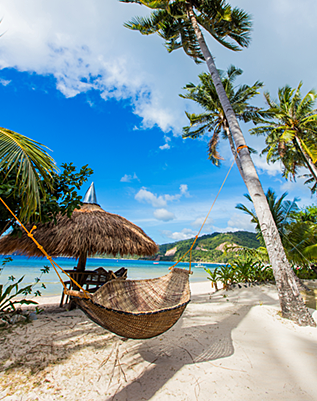 Our travel agents can find you some great deals with our unpublished airfares. Call 844-300-7983 or fill out the form on this page to book cheap flights to Lagos, Nigeria! Hi Abu, thanks for your message. We also need to know your departure airport to send you a quote, thank you! I’m a returning customer, need a return flight for my mother coming from Lagos, Nigeria in Oct or Nov, search for good deal for me . Flexible timing. Thanks for your message, I’ll pass it along to the agents 🙂 Someone will be in touch soon. Thanks June! I have sent your request to the agents, someone will be in touch soon.